Does the school year have you panicking about what to make for dinner? It shouldn't! These easy weeknight dinners are perfect for busy school nights, and won't leave you stranded in the kitchen all afternoon. They're kid-friendly and parent-approved, and go from grocery bag to dinner table in 29 minutes or less! Six delicious recipes that go from grocery bag to dinner table in 29 minutes or less. Printable shopping list with all the ingredients you need to make each recipe. Fifteen side dish ideas that mix and match with any School Night Supper and take just minutes to prepare. 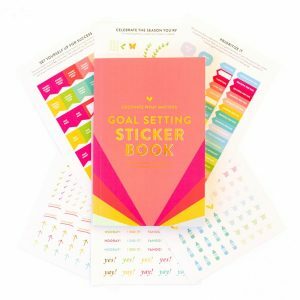 Weekly meal planning printable to help you plan out breakfast, lunch, dinner, and snacks. 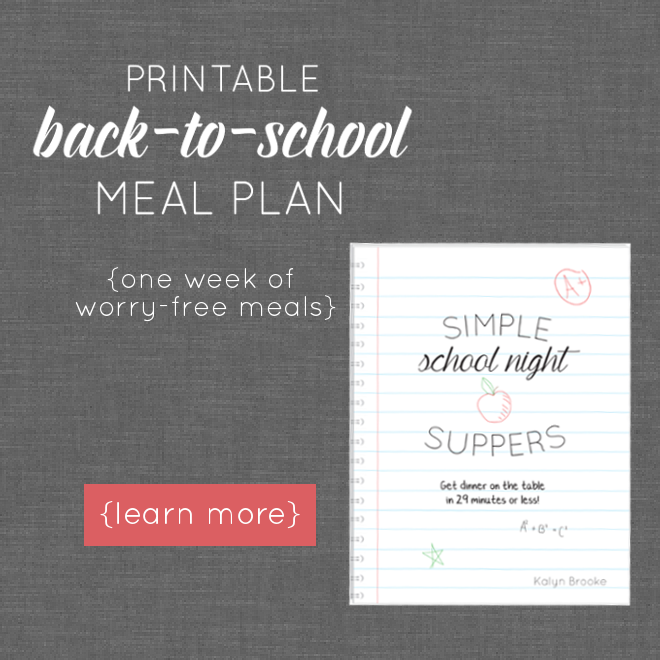 The School Night Suppers Printable Meal Plan is designed for a family of four, so if you have more or less, you'll simply need to adjust the amounts accordingly.